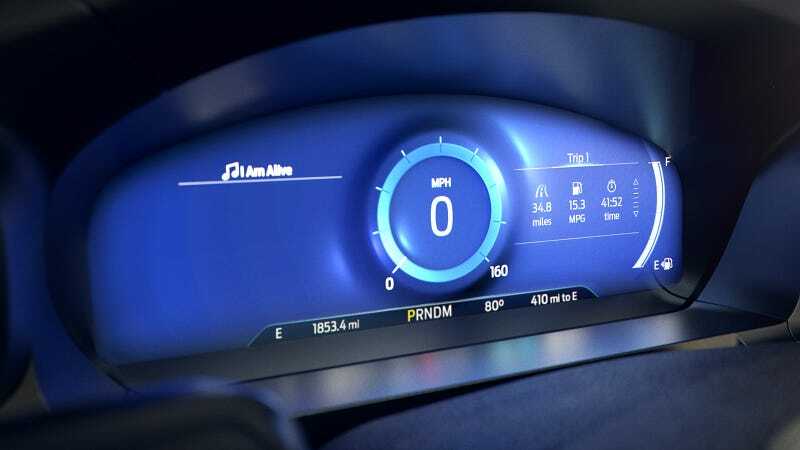 I had to double check that the 2020 Ford Explorer press release describing the vehicle’s Calm Screen, dubbed “Mindful Mode,”wasn’t an April Fools’ Day joke. But after confirming it’s real, I really like the idea of being able to strip superfluous information from your gauge cluster with a few clicks. 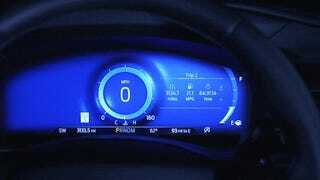 The Calm Screen basically just removes your trip and GPS readouts from the Ford’s cluster. A similar effect can be achieved in other cars with gauge clusters like this by turning displays off manually, but a hotkey to do it in one stroke is nice. My views on extreme minimalism when it comes to vehicle gauges are not shared by many; I’m still convinced you could get by with just two warning lights. But I can’t be the only one feeling like the trend of turning an entire gauge cluster into one busy screen is a little exhausting. Remember Saab’s Night Panel, which would kill all interior lights except the speedometer, or more recently, the McLaren 720S’s fold-away gauges? The Explorer’s new Calm Screen seems to pretty much be in the same vein. I would have liked to have seen it taken a step further, maybe just displaying current speed and fuel range, but still. If automakers force us to adopt full screen-based gauge clusters, it would be cool if they offered minimal modes like this for times when you don’t need or want to be bombarded with information.